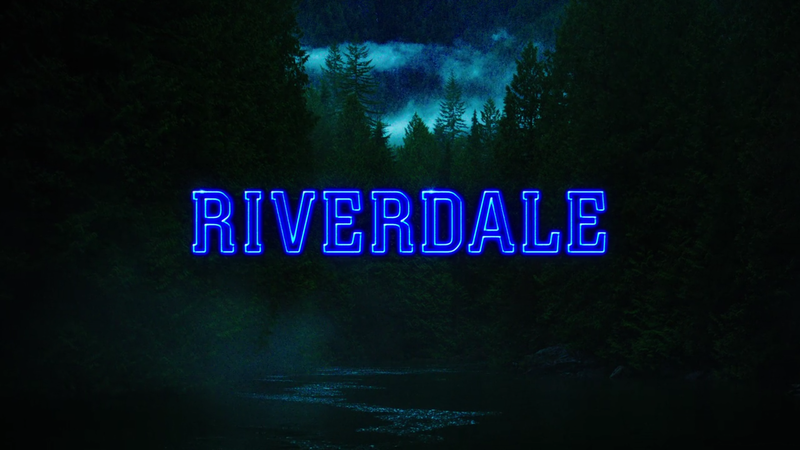 After a decent first episode, “Chapter Thirty-Seven” begins to build up the typical building blocks of every season: Archie tries and fails, Betty and Jughead investigate a mystery, Veronica stirs up trouble with her parents. But more than ever, the show is blurring the lines of reality and the impossible. Much of the episode establishes Archie’s new life in prison. His roommate, Mad Dog, does his best to keep his distance, but dishes out wise advice that we all know Archie is going to ignore anyway. In juvie, Archie begins to navigate the world of the Serpents and Ghoulies once more (who are much more like gangs inside prison that they are outside). He manages to keep his heart of gold, though, but ignoring the Serpents’ challenge to go after a Ghoulie. He settles things with everyone inside the prison by suggesting a game of football. Archie has always had some of the weakest plot lines. Each season, he’s manipulated by a different adult, and it appears that this time it’s the ‘prison warden’. Of course the warden is in Hiram Lodge’s pocket, because otherwise Veronica wouldn’t have a plotline. She spends most of her life now trying to make sure Archie feels comfortable in his prison life. Apparently, the girl doesn’t have a life outside anything that doesn’t revolve around her boyfriend. It’s the main source of tension with her father, and it’s all getting a bit old at this point. Veronica hosts a little cheerleading performance (including a very horrible, but cheesily fun cover of “Jailhouse Rock”), but a “prison riot” happens, causing Archie and the other boys to be beat up during their football game. Afterwards, Archie learns that he is being blamed for it. He’s also told that Mad Dog was killed during the riot, despite not being at the game himself. The guard then tells Archie that he has been “tapped”, just like Mad Dog warned him about. But this tap makes him the new Mad Dog, whatever that means. But I have a strong feeling that it will be just as ‘exciting’ as Archie working for the mafia. Jughead and Betty, as always, continue their Frank Hardy and Nancy Drew double act. Following the death of Dilton Doiley, the pair begin to investigate him and Ben, who unlike his dead friend, ended up in ICU. Then the couple go to see Ben, the find a talisman and learn that it was left there by Ethel. When they speak to Ethel, she claims that Ben is her boyfriend and that the talisman was left to protect him. She agrees to take them to Dilton’s bunker where they played their “game”. But when they try to meet her at night, they bump into a masked figure of the Gargoyle King instead. So Betty and Jughead return by themselves the following night, finding not just the game board, but a missing scout member. He explains that he had been waiting for Dilton’s return. But he also spills a lot of true details about Dilton, Ben and Ethel’s game, which turns out to be mostly a completely-explainable fantasy, mostly squashing the idea of anything really supernatural occurring here. Though when Ethel has a similar seizure to Betty, it begins to raise more questions than answer them. Betty also meets the daughter of everyone’s favourite cult leader, Gracie Johanssen Evelyn Evernever. Evelyn spends much of her time seemingly stalking Betty after her apparent seizure. She seems to know a lot about Betty. More than what Betty knows about her, which is a nice change of pace for Riverdale’s sharpest mind. Many of the side characters here continue to be pointless. Kevin, Josie… well, mostly just those two. What purpose do they serve? Even Ethel has become more of a break out star over both of them, and she doesn’t even sing. Really, maybe it’s just time to let them go. Have them as background characters, focusing more on the main stories, which seems to always have such brief scenes. But while the children are running around creating mischief, their parents are all gathered by Hermione, who tells them that the secret that they “buried years ago” seems to be coming back to haunt them. And whatever “it” is seems to be targeting their children. I love how this show just seemingly creates relationships between the parents that we’ve already been told didn’t exist in previous episodes. But Riverdale wants to have a flashback episode, so I’m here for the Losers Club vibe. Two episodes in, though, and this show seems to be heading in a better direction writing-wise. It certainly is trying to set us up for quite the season, I think.